The parts of your body that produce and send hormones are called the endocrine system. 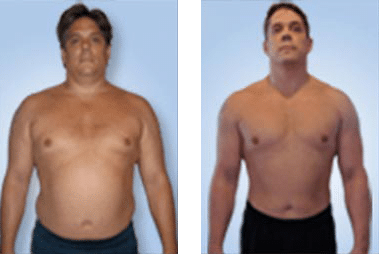 The organs in this system work together to keep your body stable and healthy by creating and dispersing many hormones, including testosterone, estrogen, progesterone, thyroid hormone, and others. Ideally, these hormones will work both together and against each other to form a sort of balance. But if the endocrine system, for whatever reason, stops producing adequate quantities of a given hormone, the result is hormone imbalance. In the past, these changes in the body were chalked up to a normal and irrevocable part of aging. But today we understand that they are often reversible effects of hormone imbalance, caused by the age-related drop in hormone production. When levels of hormones like testosterone, estrogen, and progesterone decline, these symptoms will result—and though it occurs at different times and on different schedules for different people, eventually it happens to everyone. Bioidentical hormones are a modern, completely safe way that you can fight the debilitating effects of hormone deficiency. They work best in concert with a comprehensive lifestyle program, including diet, exercise, and supplementation. Along with these changes, a regimen of bioidentical hormone replacement therapy can help restore hormones to ideal levels, leaving patients with the health and vitality they enjoyed in their twenties. The hormones themselves are completely identical analogs of your naturally produced hormones and they interact with your body in the same way. They’re exact copies of the molecules involved in normal endocrine function, which allows them to boost your body the same way natural hormones do. And bioidentical hormones represent a big step forward in the science of anti-aging: they’ve replaced synthetic hormones, which were commonly used instead until recently. Synthetic hormones were used before the development of bioidentical hormones to bring hormone levels back to peak levels in patients experiencing deficiencies. However, they were inferior to their bioidentical counterparts and didn’t produce perfect results. Unlike bioidentical hormones, synthetic hormones were derived from animal sources, which meant they were close but not perfect matches to your body’s hormones. This meant that, though they did have biological effects, they caused unwanted side effects in the body. For instance, synthetic hormones were used for a long time to treat menopausal women experiencing the loss of estrogen. They were further supposed to reduce the risk of stroke and heart disease in older women. The synthetic hormones used in this practice, which were derived from the urine of pregnant horses, were revealed to produce terrible side effects. In 2004, the Women’s Health Initiative released a massive study on synthetic hormone replacement therapy that showed that these hormones actually increased women’s propensity to develop stroke and cancer: the precise opposite of their intended effect. Since then, prescriptions for synthetic hormones have become increasingly rare, and synthetic estrogen replacement is no longer considered good medicine. Anti-aging medicine has made great strides since then. Now, thanks to bioidentical hormones, the medical community can offer safe and effective hormone replacement therapy once again. Bioidentical hormones are made by deriving the raw ingredients from organic sources, like wild yams. From these raw ingredients, the necessary base molecules are extracted and used to create a perfect analog for the human hormone. Bioidentical hormones can be taken by pills, patches, gels, creams, pellets, and injection. Synthetic hormones do function in your body, albeit imperfectly, but bioidentical hormones are far superior. They have a greater effect and are safer, and their interactions with your body are more similar to the interactions that would normally take place. Even the closest synthetic hormones still include foreign substances, but bioidentical hormones include only and precisely what the body needs. The very connections between the hormones and your body are different between bioidentical and synthetic hormones. Hormones are designed to bond to compounds in your body then break down, but synthetic hormones will not bond perfectly and often do not completely dissolve. This has pernicious side effects, including increased risk of blood clots, heart disease, cancer, and stroke. When bioidentical hormones are correctly prescribed, they simply don’t create these issues. Unlike synthetic hormones, they bond to your body well and break down completely, reducing the risk of side effects. This makes bioidentical hormones a far better option for rectifying hormone deficiency. BBioidentical hormone replacement therapy is a comprehensive approach to improving health and longevity, far beyond the prescription of hormones to fight symptoms. Well-designed BHRT programs, such as those offered by Genemedics, start with an evaluation of your hormone levels by an experienced physician. These tests are non-invasive and simple: blood and saliva tests, as well as assessment of your symptoms by your doctor. The results of your hormone tests will determine the next steps from there. Should you suffer from hormone deficiency, your doctor will design a customized program of hormone replacement therapy to fix any imbalances and bring you back to ideal levels. The long-term goal is to restore your hormones to the levels they were at during your physiological peak in your youth. BHRT only works when specifically designed for the patient. To be completely effective, your program has to be modified for your biology, health, and existing hormone levels. Bioidentical hormones pose far less risk of unwanted side effects than synthetic hormones do. However, if your program of bioidentical hormone replacement therapy is not designed well, it is possible that it could precipitate changes in your body. Programs designed by Genemedics, however, offer far less risk. All physicians employed by Genemedics have undergone thousands of hours of training to administer hormone replacement therapy, and they’re all certified by the American Academy of Anti-Aging Medicine. Many patients have already worked with Genemedics doctors to create customized BHRT programs that work effectively and quickly, programs that avoid side effects because they were specifically designed for the patient’s genetic profile. If you think you might suffer from hormone imbalance, call one of Genemedics’ clinics in Texas today to schedule your free consultation.